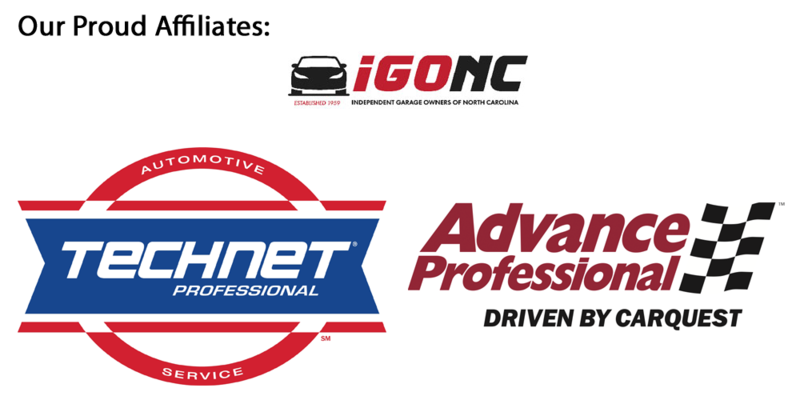 Tag Archives for " Antifreeze "
Auto Repair in Mint Hill – Is My Car Ready for a Winter Road Trip? Once again, the holidays have arrived. Colder weather, lots of food, and, for some, road trips. While a road trip may seem like a fun adventure, having one in cold weather is a whole new ballgame. Before you head over the river and through the woods to Grandma’s house, ask yourself, “Is my car ready for a winter road trip?” If you aren’t sure, here are a few things to check before you leave. Tires are important in any season – after all, they do keep you glued to the road – but in winter tires have all new obsticals to overcome. Things like black ice, snow, and even heavy rain are all things you may see on your trip, and old tires are dangerous in these situations. 2/32″ is the legal minimum for tire tread, but if you are traveling somewhere that definitley is getting snow (Buffalo, for example) you should replace long before that. Much like tires, wipers are also an all-season divice, but becomes much more useful in the winter. In areas where snow has fallen and things like mush and salt cover the road, your wipers will be in almost constant use. If your wipers are old, they may not wipe off melted snow or physical debris as well as new ones would. Even in a fairly mild winter climate like the Carolinas, windshields and mirrors are bound to freeze over or fog up. While it may not be necessary to have defrosters, they will save you lots of time keeping your windshield visible. If your car comes equipped with them, check them! If you live in or are visiting somewhere that has temperatures are below freezing, water won’t be a good substitute for washer fluid. Most washer fluid is designed to freeze at a much lower temperature than water, and also is better at breaking up snow and salt on your windshield. Of all the things on this list, washer fluid is both the fastest and cheapest fix, so be sure to change your fluid! 5. Be prepared for emergencies. Though you never want to break down, it is always best to be prepared in case you do. A winter emergency car pack should have things like blankets, non-perishable food, a first aid kit, and warning markers. Portable phone charge-packs are also useful so your cellphone can stay on even when the car cannot. 6. Have your battery tested. Cold weather is a dangerous time to have an old battery. Have your battery tested by a professional to see if the battery is healty enough to take on a long trip. If not, consider replacement. 7. Consider an oil change. Consider how long the trip is, in miles, and compare to where you are in your oil’s life. If you think you’ll pass your vehicle’s “milage due” for an oil change, it may be best to do it before you leave. Auto Repair in Mint Hill – What is Winterizing My Car? It’s getting colder out! Winter will soon be here, and you’re probably ready to bust out your favorite coat and make some nice hot coffee. But did you know your car needs some TLC to be ready for colder weather too? As colder weather approaches, it’s time to winterize your car. Winterizing is the process of Inspecting and replacing parts and fluids to make sure your vehicle can handle the harsher weather. It is best to get this done in the fall, just before temperatures really start to fall, but it can be done at any point in the cold months. Listed below are some of the things that are done to winterize a car. Batteries don’t like cold, and things like low charge and corroded terminals only exacerbate the situation. Usually a quick clean of the battery is all that is necessary, but sometimes a battery needs to be recharged or replaced. Oil is the lifeblood of your car. While in extreme temperatures it may be necessary to switch to less-thick oil, it usually isn’t necessary in the fairly tame Carolina Piedmont winters. However, if your oil is old (around 5 months or older) it may warrant a change, and switching to synthetic isn’t a bad choice either. Coolant is possibly the most important piece in this equation. Coolant (sometimes called antifreeze) should be inspected to assure that there is not water or grime in the system. While water can freeze at 32°F, coolant cannot. If your vehicle is using water instead of coolant, it is crucial it be replaced. Some coolants are designed for cold weather, but it may not be necessary to switch from regular coolant due to the fact that the Carolina Piedmont rarely goes below 20°F, but it may be useful for those who commute to the Appalachian Mountains. Washer Fluid is a great tool to help defrost a windshield. While most washer fluids are predesigned to not freeze at 32°F, some can and it is necessary to replace these fluids with cold-resistant ones. This is another example of a place where water won’t cut it as it freezes. It is worth noting that mixing coolant into the washer fluid is not recommended, as coolant can corrode paint and is dangerous to the natural wildlife as well as pets. Are your tires old? Is the tread at or below 2/32”? Is the wear uneven? If so, you should heavily consider replacing them. Tires with bad tread do poorly on black ice, which is common in this region of North Carolina. For the Carolina Piedmont snow tires and chains aren’t necessary, as the snowfall is usually less than an inch and only happens a few times a year. ALWAYS MAKE SURE TIRES ARE INFLATED PROPERLY FOR THE BEST POSSIBLE TRACTION IN COLD WEATHER!!! Though this one is designed for cities with extreme cold and heavy snowfall, it’s still a great idea. Winter emergency kits usually have a flashlight, an ice scraper, a blanket, a warning/S.O.S light and non-perishable food. Belts and hoses are notorious for snapping in cold weather. These should be inspected and replaced if they show signs of cracking or age. If you’ve ever had your car in a shop, you’ve most likely heard the term “preventative maintenance” at some point. However, just what is preventative maintenance? To put it simply, preventative maintenance are jobs done to your car to prevent problems, as compared to regular service, which you do while the problem is occurring. Changing spark plugs, filters, and belts are kinds of preventative maintenance done during factory-preset intervals. Even something as common as an oil change is technically preventative maintenance, because you don’t change your oil after it has turned to muck in your engine, you change it beforehand to prevent it from doing so. When Should I do Preventative Maintenance? Preventative maintenance is done either when the factory recommends it (this is usually listed in your owner’s manual) or when a technician spots something wearing a bit prematurely. For example, a timing belt is usually recommended to be changed at 90,000 miles, but it may be changed earlier if a professional notices cracks or other wear in the belt. How Do I Know if I Actually Need What’s Recommended? The best way to know is to ask your service provider to show you. Any reputable shop will gladly do this for you and take pride in making sure you understand fully what is needed. Is Recommended Maintenance the Same for Every Car? No. While there are many similar components in cars that may require maintenance, no two cars have the same preventative maintenance schedule. You should always check with your manual and automotive service provider to see what your car’s specific needs will be down the road. To recap, preventative maintenance is a “catch-it-early” repair service. 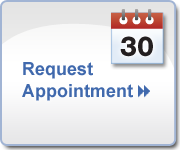 All cars have a preventative maintenance schedule, and it is always best to check to see what your car needs when. We hope this article helped! Tires are one of the most important pieces of your car – not just because they actually let your move, but because they are one of the most important safety tools your car has. As the increasing amount of research and development of tires sends prices up and up, many people are left wondering “How do I get my money’s worth out of my tires?” Believe it or not, there’s a lot of easy tips and tricks that can help you do just that. Check your tire’s air pressure. Over-inflated or under-inflated tires are one of the biggest reasons tires wear unevenly and prematurely. To prevent this from happening, check your tires at least once a month to see if the tire pressure is right. If you aren’t sure what the correct tire pressure is, check your car’s driver’s side door panel, there’s usually a sticker there indicating what the correct pressure your tires should be at. Tire gauges can be bought for as little as $2.00 both in stores and online. Some forms of uneven tread wear. A wheel alignment is an adjustment of your car’s basic suspension components. A bad alignment is usually most obvious when your steering wheel “pulls” to the left or right, but there are other things that an alignment can affect besides the direction your wheels what to go in. An alignment adjusts your car’s camber, or the angle at which your tire is pointing. If a wheel’s camber is off, a tire can wear unevenly on one specific side, causing the tires to need replacement. An alignment can be checked fairly easily by professionals and of you feel there may be an alignment problem, ask that it be checked the next time you head in for an oil change. Rotating the tires is the simple act of moving the rear wheels and tires to the front, and the front to the rear. This extends tread life because front tires wear quicker than rear ones due to the fact that front tires are the tires you steer with. By rotating at regular intervals, tire wear can be “evened out” among all four tires so the front two don’t have to be replaced before the rear two. Tire rotation is recommended every other oil change, or 6 months, whichever comes first.